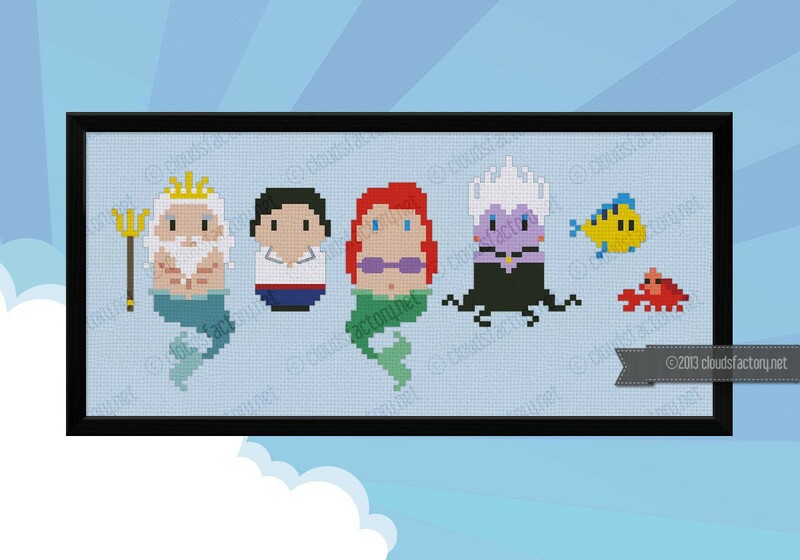 This is a special pattern featuring 2 patterns: the first with King Triton, Prince Eric, Ariel, Ursula, Flounder and Sebastian. 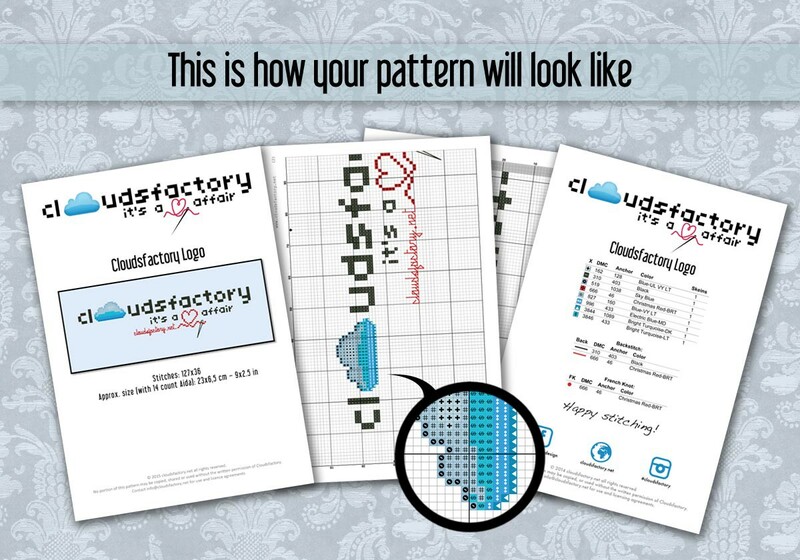 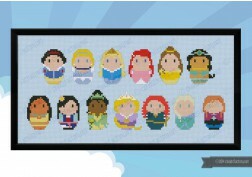 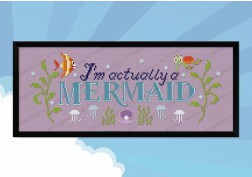 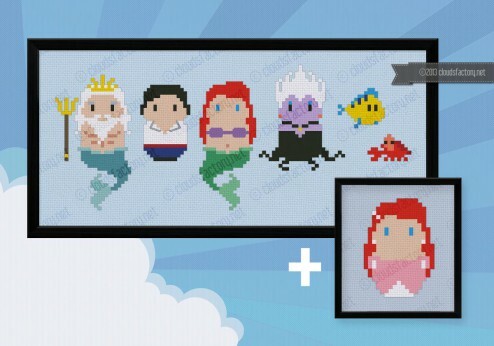 The second one is a pattern featuring Ariel in her princess dress, that you can use instead of the mermaid version. 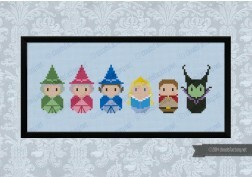 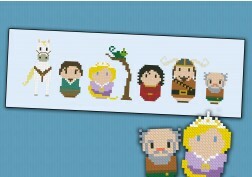 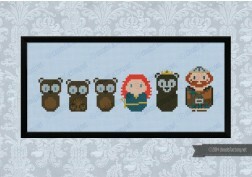 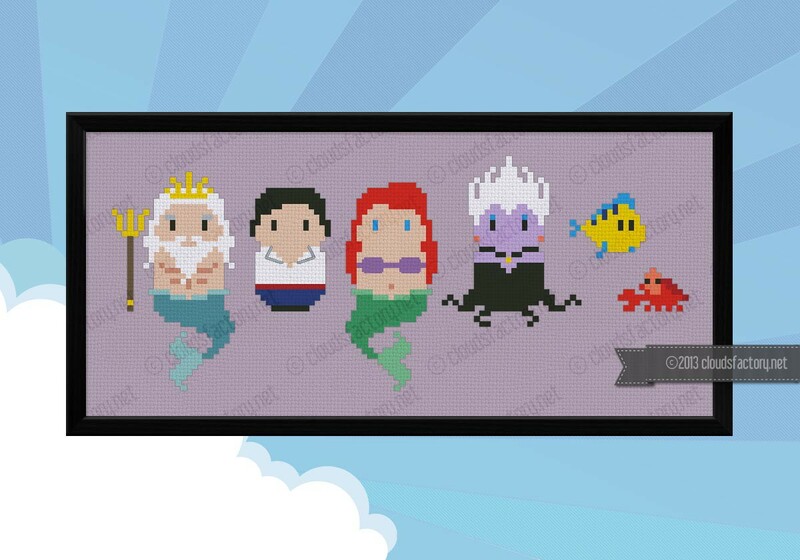 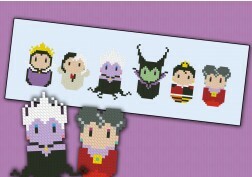 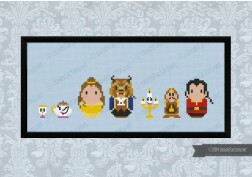 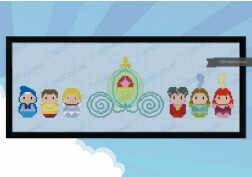 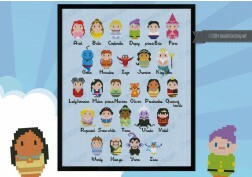 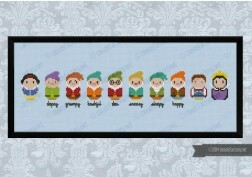 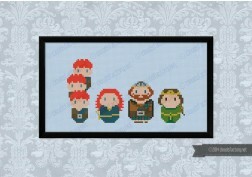 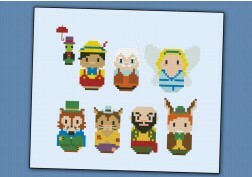 This cross stitch pattern features the main characters from The Little Mermaid: King Triton, Prince Eric, Ariel, Ursula, Flounder and Sebastian. Then there is this: together with this pattern, you will receive an extra pattern with Ariel in her princess dress, so you can choose which one you prefer and eventually swap her with the mermaid version!